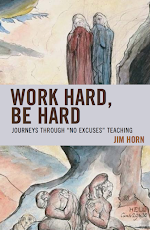 My book, Work Hard, Be Hard: Journeys through "No Excuses" Teaching will be published in February 2016. Pre-publication orders may be placed here. 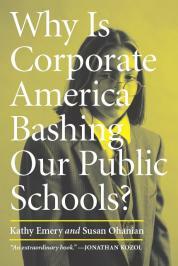 The Knowledge is Power Program (KIPP) is the largest corporate charter school chain in the U. S, with 141 schools and 50,000 students in 20 states. KIPP was launched in 1994 by David Levin and Michael Feinberg, two former Ivy-Leaguers and Teach for America (TFA) corps members assigned to teach in Houston, where the first KIPP school was created. Since 2000 when KIPP students performed a skit at the Republican National Convention, KIPP has become the poster school model for “no excuses” education, and today it receives hundreds of millions in donations from corporations, corporate foundations, and venture philanthro-capitalists. KIPP spends a great deal of money promoting its brand of total compliance segregated charter schools as the tough love, no excuses solution for schooling in urban communities disabled by poverty and the lack of hope. KIPP and its billionaire supporters contend that we cannot wait for an end to poverty to properly educate the children of the poor. 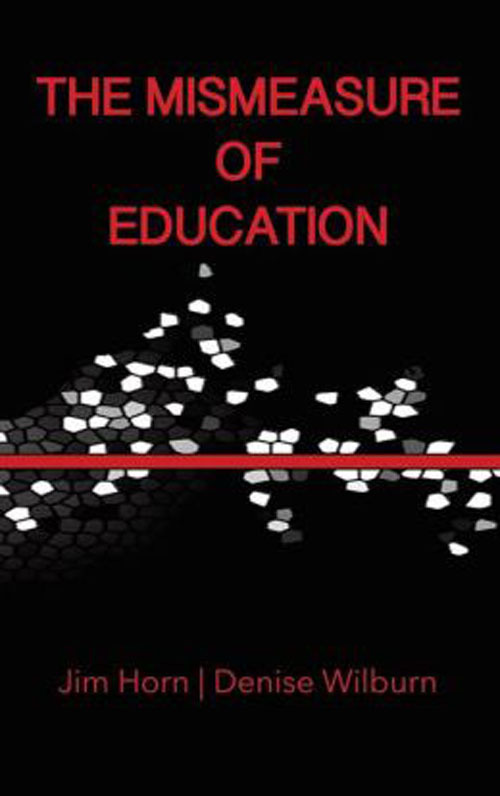 No one I know would disagree with this premise, but everyone I know disagrees with KIPP's conception of what "properly educate" means. Apparently, KIPP sees no irony in requiring the poorest urban children who have received the least in life to earn everything at KIPP, from paychecks for good behavior and working hard, to the KIPP shirt, and, at some KIPPs, even the desks that children must earn their right to sit in for 8 to 10 hours a day. You may ask yourself what your reaction would be if your fifth-grader came home every day for the first four days of school to tell you that she sat on the floor without a desk. Or if you don't have children, what do you think Michelle Obama would say her children came home telling her that they were not good enough to have a desk, or they had not proven that they could follow directions well enough, or sit quietly long enough, or walk a line straight enough, or track the teacher intently enough, or raise their hands quickly enough, or wait long enough to go to the bathroom, or that they had not worked hard enough? Do you think Michelle Obama would encourage her husband, the President of the United States, to have his education people pour hundreds of millions of dollars into the support of this kind of school? One of the KIPP teachers I interviewed for my forthcoming book on KIPP teaching had told me about students losing their desks as a form of punishment. He said that most of the one hour session devoted on late Friday afternoons for "team and family time" would "dissolve into the students sitting on the floor and writing lines, a hundred times, I will not disrespect our time with team and family, because maybe they didn’t transition in a straight enough line to team and family. Maybe they were talking too much." Another teacher told me about how desks were taken away at her KIPP school as a form of punishment for small or large offenses: "So at any given time you could go into a classroom and see from one to ten kids sitting in the back room or the whole class on the floor." Humiliating and awful and borderline abusive, indeed. TEACHER: One thing I did want to tell you was, we started school the middle of July. And they did something totally illegal. And I knew then that I didn’t want to work there anymore. For the fifth graders coming into the school for the first time, they sat a hundred fifth graders on the floor of one class in rows for a week, a hundred fifth graders in one classroom for a week until they could follow directions. And at that point, I said, why am I here? . . . .
INTERVIEWER: Let’s get back to the fifth graders sitting on the floor. [Crosstalk]. This was during the, what is sometimes referred to as the KIPP-notizing that happens during the first summer for fifth graders? TEACHER: They would sit there and do homework on the floor. They would fill in forms and pass them. And they had to all do it correctly, otherwise, they’d do it again and again and again. And so what we would do, by Thursday, all the teachers would vote in site, should we let them go into desks? In front of them, we had to vote. You know? And I voted yes, put them in desks. You know? It’s like treating like animals. They weren’t animals. They were children. And so by Friday, I think they figured, well, a week is long enough. You know? And so we all voted, yeah, let them go in the desks. And that’s how they decided to go in the desks. INTERVIEWER: I’m sure you wouldn’t. I’ve heard of children sitting on the floor, but I haven’t heard of a hundred in a single [crosstalk] room. TEACHER: It was a hundred. It was all the fifth graders in a classroom, yeah. TEACHER: Five. I think five teachers were there. And the principal would walk in every once and awhile. INTERVIEWER: OK. So let me ask you this question. If I had been with you, either on Monday, Tuesday, Wednesday, or Thursday, what would I have seen happening during one of those days? TEACHER: With me or with students or teachers? INTERVIEWER: Well, if I had been in the classroom on one of those days, what would I have seen happening? TEACHER: At first the kids, well, they have to do the flag salute of course. And then they have to take attendance. And the only time they stood up was during the flag salute and going out for recess, which they did go out for recess. Kids were trying to follow directions. I don't think the directions were given for a fifth grader to quite understand, even though one teacher was really, really good. I don't know. By Friday, they were frustrated. The kids were frustrated. You know? And maybe they were making them worried about being a part of the school that they wouldn’t pass, because we had a lot of kids who hadn't passed in the public school so they went to KIPP. And so maybe they were worrying them to make sure that they would follow directions. And so they were worried. I think the kids were worried. INTERVIEWER: They were worried that they weren’t going to get in or that they were going to have to stay there? TEACHER: They were worried that they couldn’t ever follow directions. It was a mind game. I’ve seen this. It’s terrible what they did. It was [Crosstalk] what they did. TEACHER: They did what they could. And even by Friday, they weren’t all following directions, but they said, go sit in a chair. We’ll give you desks. INTERVIEWER: OK. So they were just on the floor for four hours. So when the children got their desks, were they sent into different classrooms so that they could [crosstalk]? TEACHER: They were a lot happier, because they had their own place to put their backpack. They had their own places to put books. They had their own place to put stuff. You know? They had their own space. And they needed that. They needed their own space. They needed to feel comfortable being an individual, not just being a classmate. The question here that must be asked is what will it take to get the attention of those charged with the safety and welfare of children in order to bring an end to these horrors. This is not the first time such educational atrocities at KIPP have been documented. The most prominently-ignored series of incidents occurred in 2009 in Fresno (go here and read posts from the bottom up). How long will we turn our backs on this kind of abuse? How long will we allow and support and celebrate this form of behavioral sterilization for poor children while ignoring and finding excuses for doing nothing about poverty? Will it take Amnesty International to intervene in these human rights abuses at America's apartheid corporate schools for the poor? 1) belief in two (2) tracks of schools-- one for "our kind of kids" and one for "those 'other' types, wink wink"
2) willingness to never walk in the door of an actual real school serving all kids, like Grady or Norcorss or Clarke Central . . . Thank you for this piece, Jim. The KIPP stories just get worse and worse. Just when I thought that KIPP had plumbed the deepest depths of white supremacism, they prove me wrong and worm ever deeper. I don't normally post anonymous comments, but your rant is so compelling that I could not resist. I think the key phrase in your comments comes from identifying KIPP's purpose, which is to "weed out who is capable." As one of the obvious "capables," it would be normal for you to focus on that part of the equation. On the other side of the weeding are those who are self labeled as failures, which is a result of the "no excuses" thought disorder that children are taught to absorbed by the corporate school model, along with their earned failure they are taught to stoically accept (failure comes to 40 to 60% of KIPPsters between fifth and eighth grade). I see, too, that you have absorbed some of the common verbal courtesies used at KIPP schools. But if I had endured what you have as a result of learning to embrace your oppressor, I would probably be more angry, still. I have been a KIPP teacher for going on a decade. I have worked at two different KIPP schools. This is not how we do things at my school, OR at any KIPP schools I am familiar with - and I have visited more than 15 KIPP schools across the country, over the years. This article is a misrepresentation of the KIPP team and family. At my school, and at every school we visit, we love our kids and work every day to do our very best for them. We engage their families in the educational process. We believe in helping them learn to be hard-working students AND good people, and we strive to model that for our students every day. When something isn't working well in our efforts to help our kids reach their goals, we reflect on it honestly, and we change. To use the word "atrocities" and "horrors" to describe the entire team and family that is KIPP is an atrocity in itself. I strongly urge the author to visit more schools, talk to more teachers - particularly the ones who have stuck around for a while - and to talk to our students and their parents. My guess is that your sample size was too small to get an accurate representation of KIPP. And this article makes me sad, because it undermines what my colleagues and our kids and their families do every day. As a KIPP teacher for "going on a decade," you are, indeed, one of the rarest of educators. Since one of my research participants described KIPP as "grad school for TFA gluttons for punishment," I don't know whether to congratulate you or to say how sorry I am. Obviously, you're not familiar with all the KIPP schools. The Atlanta Journal-Constitution documented the "floor treatment" in 2011 (link here: http://www.ajc.com/news/news/local/kipp-schools-get-tough-rules-lessons-get-results/nQKYw/), but the former teacher that I interviewed is the first to document this treatment of 100 fifth-graders crammed into a single classroom for a week as they earned with their total compliance what every middle-class child receives on the first day for being a valued member of the human family. I used the word atrocity and horror to describe the floor treatment that was shared with me. I do not use it to broad brush every KIPP teacher – some of the teachers I have interviewed are no doubt fine teachers, and they speak of others they met at KIPP who were dedicated professionals, despite the total compliance segregated corporate model they work in every day. So far I have interviewed all of the 20 former KIPP teachers who volunteered to participate in this study. There are many commonalities among these former teachers with regards to their experiences at K IPP. That is what I plan to present for the public to judge. I think that it is worth remembering that when Rep. Leo Ryan went to Guiana to respond to complaints about Jonestown, everything on the surface looked fine. When Jay Mathews visited dozens of K IPP schools, everything, according to him, looked fine. It was only after Rep. Leo Ryan was handed notes by few desperate family members that he began to question what he was seeing. Of course we know what happened to Leo Ryan. Francie, we shared a classroom for a year, and you are one of my favorite colleagues ever. You are so dedicated and you do see the best in everything. At the same time, in my year at our school, I saw what I would call atrocious and developmentally inappropriate treatment of students. One particular occasion sticks out. Our Dean was yelling at a student who was standing in the center of a group of his peers in the cafeteria. He was being ridiculed for the way he was wearing his pants. I think his pants were sagging. The student was sobbing and whimpering while the Dean verbally abused him in front of his classmates. It was horrifying. Then there were the students who NEVER made their paycheck. Probably 5- 10 boys, right? The after-school detentions every day until 6pm in lieu of playing organized sports after-school, the silent lunches every day away from peers, how was that developmentally appropriate? It wasn't an intervention, it was a system of control that, and I honestly believe this, robbed many kids of a year of their childhood. I would never send my own child to a KIPP school, would you? This sounds like an active lesson in realizing that gains, must be earned. In the business world, nothing is given - unless you know someone, or get lucky. Luck is not something that people can depend on. Especially not minority students, from low income families. To make it in the world, and make it a better place, the nice people have to be not just smart, but strong as well. They need to be diligent, and honest. If you are in a hard world, you need to be honest with how you interact with it and know the game. "Earning" a desk, while sitting on the floor, prepares you to face bureaucracy, while still being able to work. The lesson learned, is being able to work through discomfort. Succeeding even when unpleasant. Survival is not optional, it's mandatory. First you must realize that the 5th grade is not business but an educational experience. As such, it should be treated with the care, compassion, concern, and capable guidance that middle class children routinely may expect. Your clear suggestion is that poor children require a different kind of treatment to become diligent and honest, as opposed, I suppose you mean, to being lazy and dishonest. Most of us would view honest, integrity, empathy, and good citizenship as character goals worth explicitly teaching, but not KIPP. You must ask them why. I suggest to you that packing 100 children into a classroom to sit on the floor for four days until they earn what middle-class children have on day one, without question, represents child-abuse that is reserved for the less fortunate. Learning persistence and working through discomfort or valuable traits, no doubt. Such virtues, however, have always been learned in school with less torturous techniques used to establish total compliance. Is this a blog or a piece of journalism? I'd be interested to see your reporting on the KIPP schools you've actually visited (if this is journalism). If it's just a blog, well, I'm less interested in uninformed opinions. The interview data is from a verbatim transcript of an in-depth interview with a former KIPP teacher. As such, it represents a piece of data that, together with others, holds the stories of former Kipp teachers. My prefatory remarks are my own for this blog, which I started in 2005 as a response to the kinds of corporate schooling that KIPP embraces. Some of what you will read in the book, should you decide to buy it, you may doubt as well. Some of what goes on in these total compliance schools many people will find hard to believe at first, without understanding the broader context of where KIPP came from. There are many kinds of sampling other than random. My sampling for this project has been purposive, and the purpose has been and is to represent the stories of former KIPP teachers, some of whom find their experiences painful to recall and difficult to forget. So far I have interviewed all former Kipp teachers who have responded to my public request to record their stories. The plural of anecdote is not data. I'm sure you could find 20 people to say negative things about just about anything in this world. Have any of the teachers you interviewed said good things about KIPP and will they be included in your book? Can you publish a link to your "public request"? I don't expect everyone to acknowledge twenty in-depth interviews to constitute real research, and obviously you are one of those, Mr. or Ms. Anonymous. If you want to comment further, include your name. You will find one of my public requests at the end of this post: http://www.schoolsmatter.info/2012/09/a-former-kipp-teacher-shares-her-story.html. Hope you enjoy this "anecdote" from a former KIPP teacher as well. Jim, Thank you so much for interviewing former KIPP teachers and writing a book about the abhorrent treatment of children at "no-excuses" charters. How these military style boot camps, with drill sergeant teachers, have become not only acceptable but the model for educating children of color in this country is just beyond my comprehension. Hopefully, when more people become aware of these practices, they will come to an end, as with the schools for Native American children in earlier times. Keep up this very important work! What do the public schools in the districts you've interviewed KIPP teachers from look like? I transferred to work at a KIPP school after spending three years in a district that treated students like numbers - my principal would literally refer to students as "3s" and "4s," denoting their achievement on the previous year's state test. In my first year as a special education teacher, I was given a classroom of 27 students with special needs, with one half-time para professional for four hours. Students were pushed through the system so that we didn't have to "deal with them" for an extra year if we were to hold them back. And of course, I could write pages upon pages about how teachers were treated... but that's a separate blog post. At KIPP, my principal knew every one of our 100 new 5th grader's name at the end of their third day of summer school. They were given desks and chairs and food every day of summer school. Students at my school earn their KIPP polo shirt, meaning they start in a white polo that they bring from home and are given a KIPP polo when they have demonstrated perfect homework and appropriate behavior. They walk in quiet lines in the hallway - because our school is one giant hall and sound echoes easily. Students read their books in line if they have to wait for a class. They are given opportunities to debate, present, perform, and participate in sports at my school. My school sounds nothing like the school you mention. It saddens me that you choose to paint a picture of all KIPP schools as this way. We have come a long way when we can brag about feeding children and giving them desks to sit in. Or we have gone a long way back, I should say. I do not know about the public schools where these former KIPP teachers worked, since that was not the focus of this study. But I do fear that one of those former KIPP teachers was right--we are becoming a KIPP nation, in that the total compliance, apartheid model of bare-knuckled pedagogy is now emulated far beyond these 150 chain gang boutiques known as KIPP. The other scary part of this phenomenon is that many of those teachers that remain in KIPP have become inoculated from self-critique, so that everything they do at the behest of the all-knowing school leader becomes imbued with spiritual significance. I am convinced that all of the former KIPP teachers I interviewed are good people, and they were good people when they were at KIPP. That being said, many of these folks have come to view their actions through a more realistic lens since leaving KIPP, so much so that they can now acknowledge that failing to achieve the impossible may be forgiven, notwithstanding the claims of the corporate chiefs at KIPP, Inc. When I worked at KIPP our Reading teacher told the students if they were 1s, 2s, 3s or 4s, based on their predicted performance on NYC standardized tests. 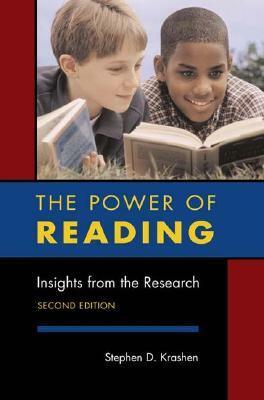 At my KIPP school, "reading instruction" meant timed reading passages for the months of February and March. It appears you and I had different experiences inside KIPP.